Esports Player Showboats in front of Crowd. Opponent Responds. Another FUT Champions Cup has just concluded, and Msdossary left the tournament as a champion for the third time. He defeated his biggest rival, F2Tekkz, on his opponent’s home soil, as well as showboating in front of the crowd. F2Tekkz responds on Twitter. The sixth FUT Champions Cup this season took place in London; on the home soil of current FIFA Xbox number one, Donovan “F2Tekkz” Hunt. The young British player was in impeccable form winning four tournaments in a row. He clinched two FUT Champions Cups, FIFA eClub World Cup together with Nicolas99 as well as ePremier League on behalf of his favorite team, Liverpool. Taking all into consideration, F2Tekkz was an unquestionable favorite for winning the title in London. Nevertheless, he didn’t kick off the tournament in a great fashion as he usually does. Tekkz lost two games, so he was close to dropping out of the tournament already in the group stage. But, he played much better in Play-off until he met Msdossary, from Team Rogue, who stopped him in the Xbox final. Msdossary won the first leg with a score of 2-0. Therefore, Tekkz was the one who had to chase the player of Rogue. He scored four goals in the second half but conceded four as well. Apparently, it was insufficient for Tekkz to equalize the aggregate result, which was 6-4 in Msdossary’s favor. Tekkz’s usual tricks didn’t work as Msdossary knew how to respond to them. 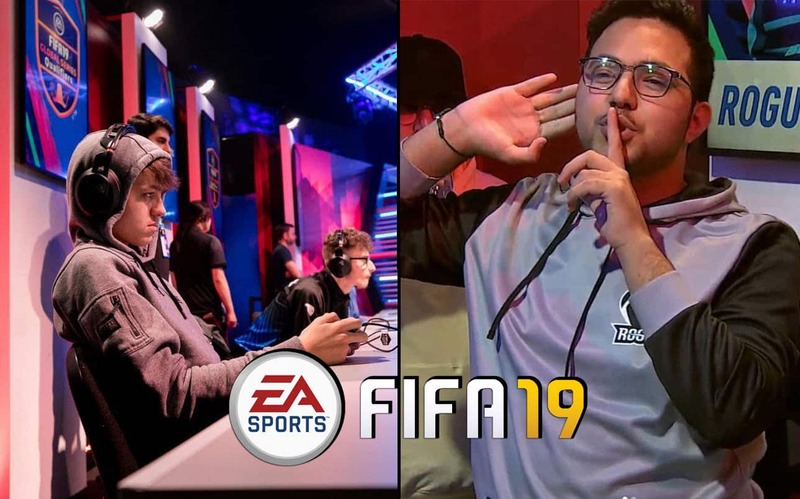 Afterward, Msdossary defeated Tekkz’s teammate from FIFA eClub World Cup, Nicolass99 in the Grand Final. The final result was 8-3 in Msdossary’s favor who won his third FUT Champions Cup. He also earned $50,000 and 1,500 Global Series points. 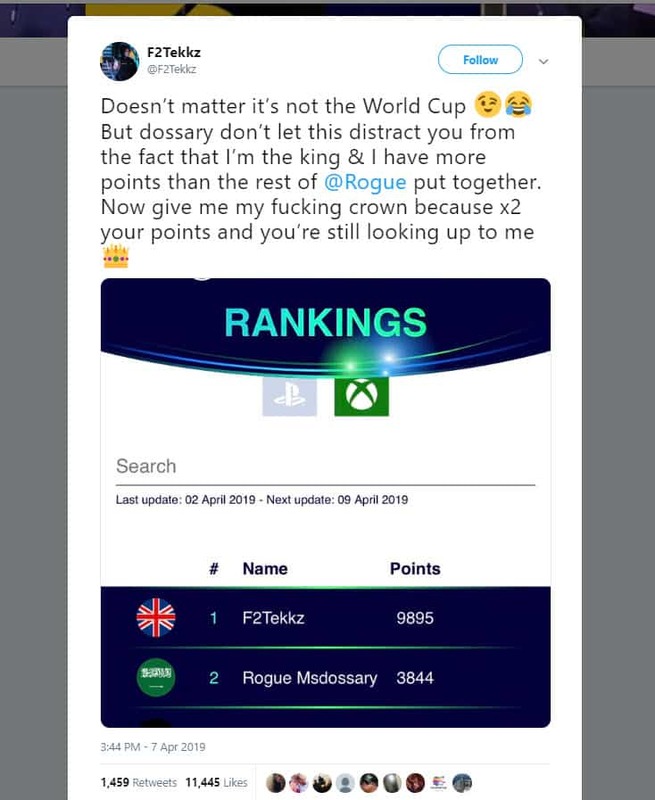 Hence, Msdossary demonstrated the dominance of Xbox players in FIFA. No PS4 player managed to win the FUT Champions Cup in this season so far. Throughout the whole Xbox final, the crowd was supportive to domestic player F2Tekkz. 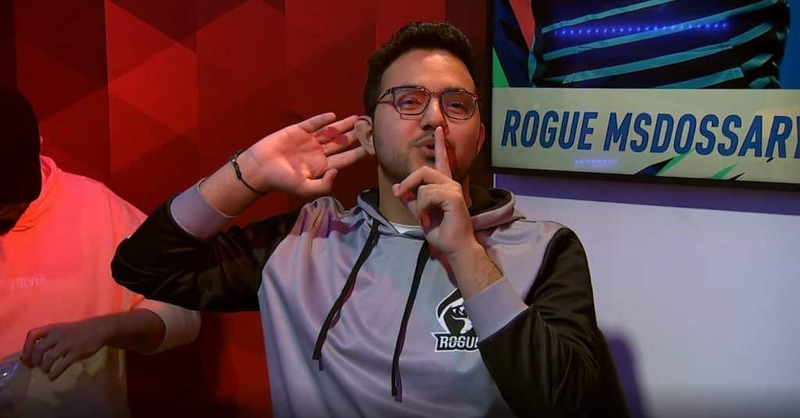 When the game ended, Msdossary became cocky as he was shushing fans of Tekkz. Although he still had to play one more match in London, his victory over F2Tekkz was sufficient satisfaction for him. ﻿ F2Tekkz didn’t need much time to respond in the same manner. Hi quickly responded to Msdossary on Twitter. He pointed out that he has twice as many Global Series points than Msdossary. Also, he said he has more points than the rest of Rogue put together. It was indeed true on the day when F2Tekkz posted this on his Twitter. However, EA hasn’t updated rankings yet. After an update, F2Tekkz will still have far more points than Msdossary, but not twice as many. Nevertheless, that was an interesting way to respond to Msdossary, who was showboating in front of F2Tekkz’s fans.